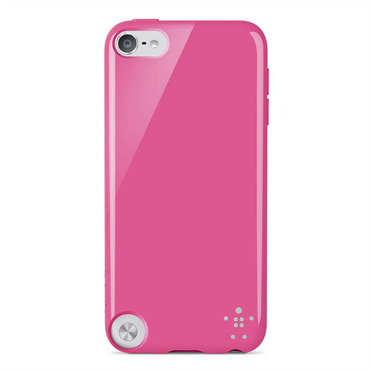 Protect your fifth-generation iPod touch while adding a splash of bright color with the Grip Case. This glossy, vibrantly colored iPod case protects against nicks, scratches, and day-to-day wear while letting you express yourself with a pop of color. The Grip Case is form-fitting, slender, and lightweight, offering the protection of sturdy, durable TPU without adding bulk. The Grip Case provides a dose of color and shine with its selection of eye-catching tones. 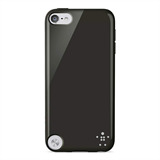 Choose from Blacktop and Reflection to add sleek, edgy style to your ensemble while protecting your fifth-generation iPod touch from wear and tear. Made of lightweight, flexible TPU, the Grip Case is slender enough to be tossed in a pocket or purse. The form-fitting case won't leave gaps or loose areas, offering protection without bulk. Its beveled edges keep the screen free of scratches.